Many people have benefits through work. Most understand those benefits to cover medical expenses such as massage, physiotherapy, medication, and dental expenses. Few think of those benefits as covering a portion of your income while you’re disabled and unable to work. This concept is called “disability benefits” or “disability insurance“. These disability benefits are VERY important. Having them is excellent and great idea. Even if they aren’t offered through your employer’s benefit program; you can still purchase such benefits on your own from an insurer, or from an insurance company. These benefits are commonly referred to as Short Term Disability Benefits, and Long Term Disability Benefits. They typically run up until the age of 65 in the event of disability. Large insurers which offer LTD insurance are such companies as Manulife, Great West Life, Canada Life, Sun Life, Industrial Alliance, SSQ, Desjardins, RBC Insurance, Co-Operators, Equitable Life amongst others. But it’s not enough to have access to this insurance. It’s important to understand HOW IT WORKS, and how to apply for it in the event of disability. Every policy is unique. Every policy will contain it’s own definitions of disability, their own exclusions, along with their own benefit amounts. Some policies are better than others. A BAD LTD policy is ALWAYS better than NO POLICY whatsoever. Usually, you get what you pay for. And, just because your employer offers LTD insurance through work, doesn’t mean that it’s a good LTD policy. Check it out for yourself how it works or talk you a broker or a lawyer about it. As with any insurance, just because you’re hurt, doesn’t mean that benefits will automatically begin to flow. You have to jump through some hoops in order to get those benefits to begin. At the end of the day, you have something the insurance company has; and which the insurance company does NOT want to give up; it’s their money! The first rule of insurance is that if you don’t claim for it; you won’t get it. The same applies to your LTD policy. If you don’t make a claim on it, then you won’t be able to collect benefits on the policy. But claiming these benefits isn’t as simple as putting in a phone call, or filling out a form online. There are a few forms which you, and your doctor and employer will need to complete. The whole process can take some time. The first challenge for many people is how to get the forms to apply for LTD benefits. Sometimes the forms are available through your employer, Union Rep, HR rep, Insurance Broker, or the insurer themselves. Some insurers offer forms online such as SunLife here; other LTD insurers don’t provide their claim forms online. It depends on the insurer and the policy. Our lawyers have seen situations whereby claimants simply can’t get their hands on the right forms in a timely manner because their employer doesn’t know how to get them; or the person in charge of the forms is away on vacation. It happens. Completing the forms properly, at first instance is IMPORTANT. The information which you, your doctor, and your employer complete on the application forms can make or break and LTD application. There is often a form called a “Member’s Application or Member’s Statement“. On this form, it will ask you in your own words to described the nature of your injury or disability, when it began, and how it impacts your activities of daily living and/or ability to work. Another form which is very important is the “Disability Certificate or Attending Physician’s Statement“. This form will need to be completed by a doctor, or a treating therapist. If this doctor or treating therapist does NOT believe that you’re disabled, then chances are, the information contained in the form will not be supportive to the claimant’s LTD application and it will be denied. Doctors also charge money for the completion of these forms, which claimants have to pay for out of their own pocket. Some unions cover these expenses. I’ve seen a few insurers cover these expenses as well, but it’s often the disabled claimant who has to pay for the completion of the form if the doctor requests payment. The forms can be LONG and can time to complete. It’s not a 15 second quickie form. Your LTD Application will NOT be complete without having a Disability Certificate or Attending Physician’s Statement completed. Another form is which some insurers have, and some others don’t is a form to be completed by the employer to discuss the nature of the worker’s job, what their job entailed, and why they can or cannot return to work. If your employer is not supportive of your disability, then chances are this form will not be completed to your liking and will not support your claim for LTD benefits. Having a supportive employer is always helpful to a LTD claim. But just because all of the forms are completed and submitted doesn’t mean that your work done. Submitting the forms properly, and in a timely manner can be just as important as getting the forms completed properly. This legal concept is called “service”. Make sure that you have proof of service either by way of registered mail, email, fax confirmation sheets, etc. Don’t let the Canada Post Monster lose the only copies of your forms. There’s nothing worse than hearing that the forms didn’t arrive in the mail, and that the only versions of the forms you had are now lost. Make copies and keep track of when the forms were submitted to the insurer. After the forms have been submitted to the insurer, follow up with the insurer to make sure that they got them. There are some nasty cases out there whereby claimants failed to claim LTD benefits, or submit their claims for LTD benefits within the time limits set forth in the policy. You don’t want to fall victim to one of these legal technicalities. Even after the forms are submitted and assessed by the insurer, it’s very common for them to request MORE information from you. They will want such things as your tax returns, employment file, doctors’ records, hospital records and therapy records. This is all COMMON in LTD claims, so don’t be intimidated by these request. The insurer is trying to better understand the nature of your claim, and also see if there’s anything in those records which can assist them in determining whether or not to approve or deny your LTD claim. Have more questions about LTD claims in Ontario? 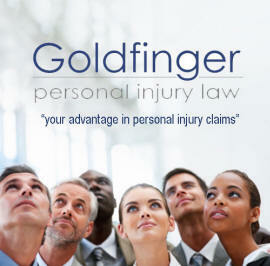 Give Brian Goldfinger and the lawyers at Goldfinger Injury Lawyers a call at 1-877-730-1777 or email us at info@goldfingerlaw.com We would be pleased to hear from you and help any way that we can. With offices in Toronto, London, Peterborough and now Kitchener-Waterloo, we service LTD claimants from all across Ontario. Even as far as Sault Ste. Marie, Sudbury and Thunder Bay.